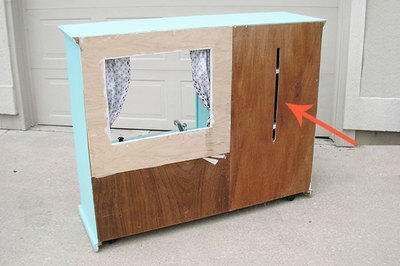 It's amazing what you can do with an old entertainment center. First we turned ours into an adorable kid's kitchen. But why stop there? 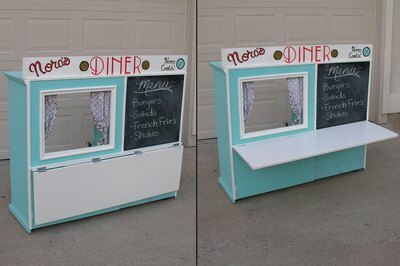 We decided to add even more fun by building a retro kid's diner on the back. Because the two really should go hand and hand, don't you think? Attach a piece of pre-made chalkboard to one side of the cabinet. If you happen to have a piece of plywood on hand, you can paint it with chalkboard paint. But if you're buying it, you'll find that pre-made chalkboard is typically cheaper. 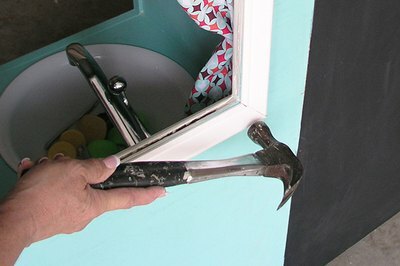 TIP: Drill pilot holes or use small finish nails to avoid chipping the chalkboard. 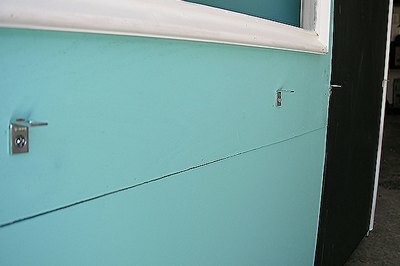 Fill any remaining areas by with plywood in a thickness that will make all surfaces of the back flush with one another. Paint two coats of the base color. All surfaces should be flush before proceeding. Cut corner trim to fit the edges of the cabinet, covering up the raw edges. You might have to notch out areas to make the corners fit the existing trim. Cut a 1-inch by 12-inch pine board and a 1-inch by 2-inch pine board the width of the cabinet between the corner trim pieces. (You're going to put these boards together to make the lunch counter.) Measure the cabinet across the top. Cut a 1-inch by 6-inch pine board this measurement for the diner sign. 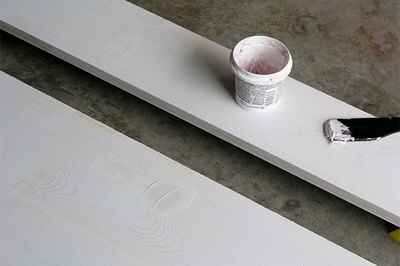 Paint a coat of primer on all boards and trim pieces, and let them dry completely. Fill any knots, gouges or holes with spackle and sand until smooth. Apply the finish coats of paint. Install the trim, including the corner trim and the window frame. Drill pilot holes and use finish nails to attach the trim. The lunch counter is constructed from the 1-inch by 12-inch board and the 1-inch by 2-inch board so that it can hang down, making the diner easy to store. Lay the two boards tightly together and mark hinge locations on the edges of each board. Score along the marked lines with a utility knife. Using a wood chisel with the tapered edge against the wood, tap with a hammer and remove about 1/8 inch material. Install the hinges. TIP: Take your time and remove small amounts of material at a time. 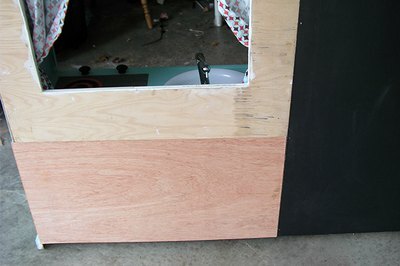 Draw a level line along the back of the cabinet, about 19 inches off the ground. 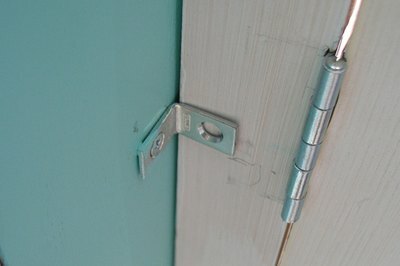 Install small angle brackets, making sure the bracket screws are anchored securely into solid wood. Have a helper set the counter on the brackets and hold it in place. 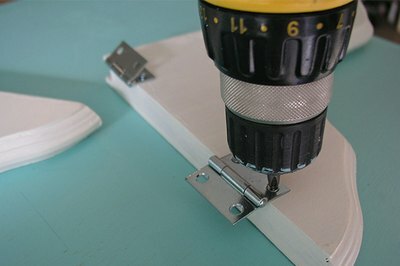 From the underside, install screws through the angle bracket into the 1-inch by 2-inch section of the counter. 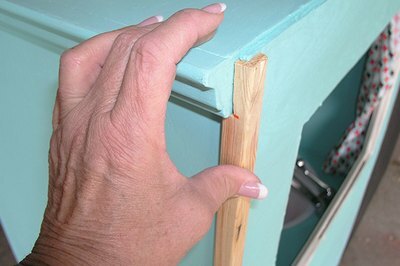 Carefully lower the front edge of the counter to make sure it is secure. Add shelf brackets to hold the counter in the upright position when needed. Mark the mounting positions on the brackets. Drive screws to attach two hinges to one side of each bracket. Have a helper hold the counter in the upright position. 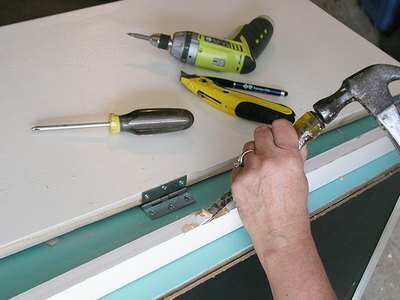 Hold the shelf bracket under the counter at a level height and install screws through the hinges and into the back wall. Make sure the screws hit solid wood. 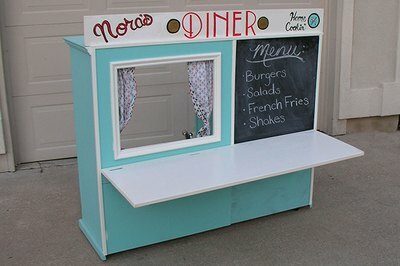 Spruce up your diner with a painted sign. Install the sign with hinges so that it can lay flat for storage, and flip up when the diner is open.